Looking to update your swimsuit wardrobe? Do you have a sunny getaway planned and you want to look on point in your swimwear? 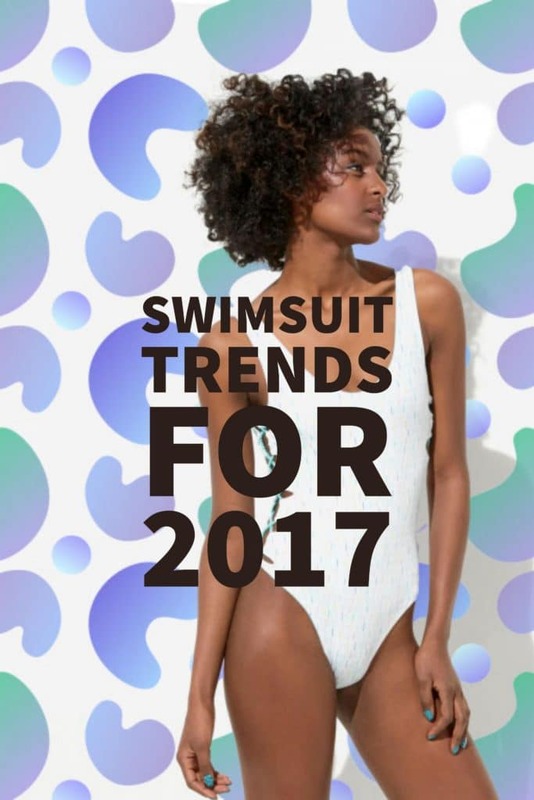 I’ve consulted Refinery 29‘s top trends to bring to you the Top 6 swimwear trends of 2017! After seeing these trends, you’ll toss your old bikini or swimsuit out, I promise! The monokini trend is still prevalent with the additional focus on side seams. Whether its D rings or laces to connect the front and back, this design is a great option if you are not up for a bikini. When did swimwear look so much like fashion? Feel more dressed up whether wearing the sleeves ruffled and off-the-shoulder (shown) or full-shoulder caps. Consider this: your apres-swim look is almost finished because you already have your top! 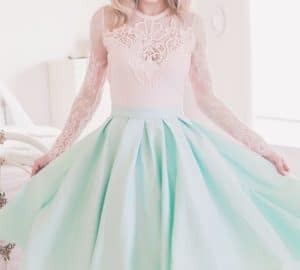 This season there is a focus on more novel materials for swimsuits such as the ones listed above: velvet, crochet, and denim. Rainbow Brights have taken over the 2017 swimsuit designs as an explosion of color in stripes! They are a marked part of this season’s trends. The one shoulder look is ubiquitous in fashion right now so why not incorporate it into your swimwear wardrobe as well? It can be a very flattering look. Just be sure to wear lots of sunscreen to avoid tan lines! I’ve also seen the mini tee one piece combo that I’ve been liking a lot. I’m also a fan of boyleg styles. These swimsuits are hot! Not sure about the velvet one (seems like it would take forever to dry), but do love the colour! Rainbow bright is my fave trend this year!! I also love that one pieces are totally in style because thats usually what I wear anyways!